I’m going to give it to you straight. If you’re still struggling to get your website user experience on a PC or laptop up to standard, then you have exponentially more catching up to do than you think. In January 2014, the digital landscape experienced a tectonic shift. For the first time, Internet usage that was accessed via mobile devices exceeded that of PCs according to the comScore U.S. Mobile App Report. This means that more people are using handheld technology over desktop interfaces for their digital activities. And if you haven’t thought about how your target market experiences your website in a mobile environment, then now is the time to start considering it. Why? Well if you don’t, you could be losing out on massive revenue growth and increased opportunities for your enterprise … among other advantages. But don’t take just my word for it, here are 5 reasons why you absolutely NEED to make your website mobile friendly ASAP. Regardless of the size of your business or budget. It’s estimated that at least a quarter of worldwide searches on Google (by over 1 billion global users) are conducted on mobile devices (as recorded by The Search Agency). It’s safe to say that mobile-friendly websites are now just as important as desktop versions. With the recent Google algorithm updates (Hummingbird in particular), it has become clear that this search giant is prioritising mobile. This means that having a mobile-friendly website has become an important ranking factor. If you’re not optimised for handheld devices, this could impact your ability to outrank competitors of a similar SEO status who are responsive. Ultimately, this means that not having a mobile-friendly website could in fact see your overall search rank suffering on the SERPs. Google and IPSOS have reported that 90% of Internet users will move between devices in order to carry out their digital activities, the term “multi-screening” has been coined to describe this phenomenon. 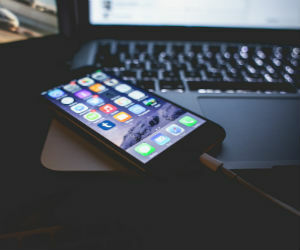 Your brand needs to provide a satisfying experience on mobile initially, with the hopes to encourage users to also return to your full website on desktop at a later stage. Or even vice versa! Remember that digital browsers are looking for the easiest and smoothest experience, and can move on at the click of a button if they’re not finding it. Not offering a good mobile interface can often drive your target market into the arms of your competition’s digital assets instead, creating a loss in brand awareness and loyalty. If your website distorts on mobile browsers – obscuring call-to-actions, making links difficult to click, and affecting navigation with awkward menus – then you’re going to be in trouble when it comes to conversions. Lead generation, or online purchases if you’re using e-commerce, will be sorely affected. Furthermore, other types of conversion rates that are critical to your business success can be damaged too. These can range from sign-ups to your email database to finding your contact details. As mentioned above, mobile users (and shoppers) have little patience for shoddy user experience on whatever device they may be using at the time and will move on quickly if they’re having a tough time. By offering your website visitors intuitive and appropriate user experience on multiple devices, you will engage them for longer on your web pages. This is good for your business in terms of prospects BUT it’s also good for your search engine performance in terms of healthy bounce rates. In other words, if your website isn’t optimised for cross-device compatibility, i.e. forcing users to pinch and zoom or squint at illegible content, people arriving and quickly leaving your website is going to signal to search engines that they’re having a shoddy experience through high bounce rates. Which in turn will lead to search engines referring less and less traffic to your web pages. People use their phones all day long for various activities. These range from accessing content, finding vital information, checking emails and messages, doing Internet banking, listening to music, playing games, interacting with various apps and – most importantly – making purchases. The truth of it is that if you’re not geared for mobile traffic, it may be directly affecting your bottom line in terms of lost revenue. In 2014, the MasterCard Online Shopping Behaviour Survey, conducted in 11 countries across Africa and the Middle East, recorded that over two thirds (69%) of those surveyed say they have made at least 1 purchase online in the last 3 months. The study also found that 33% of those accessing the Internet via mobile phones intend to shop using their device, or have already done so, a jump of 9% from 2012! It stands to reason that it’s important to ensure that not only your desktop, but also your mobile digital experience takes into account best practice and optimum user experience. The survey further revealed that 90% of those who shop online are influenced by convenient payment methods and 87% by quickly-completed transactions. 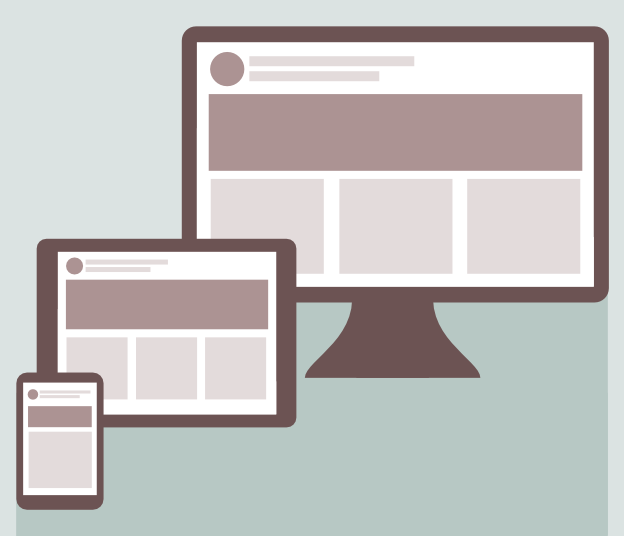 If you’re unsure on whether your website is cross-device compatible, then there are some quick things you can assess right now that will give you a fairly good indication of how well it will perform. What is your website loading speed like on mobile? Ideally you’d like it less than 3 seconds to encourage a good experience on mobile. If you can get it under 1.7 seconds then you’ll be faster than approximately 75% of the web! What is the average size of your web pages? It’s best to try and keep these to the recommended 500KB or less for an optimum mobile experience. When you load your website on your own devices (smartphones or tablets), is the content easy to read? Is navigating around seamless? Do any buttons distort or become inaccessible? If so, then you need to reassess your website completely. So there you have it. At the end of the day, having a mobile-friendly brand affects most of the pertinent digital marketing touch points that can provide success for your enterprise. This spans your search engine performance, traffic generation, brand exposure, conversions – and ultimately revenue. It’s critical that you position your business to be at the fingertips of your target market today!